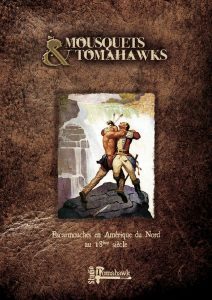 In 1754, deep in the Ohio wilderness, a skirmish between an American patrol and a French diplomatic mission set the world on fire. The resulting inferno became known as The Seven Years War and had worldwide conséquences witch immersed the two greatest empires of the time, France and England, into a bitter struggle for the future of North America. The dramatic nature of these French and Indian Wars set in motion events which led to not only the brutal Indian rebellions, but also planted the seeds of American revolution and independance. In this game you are immersed in the tactical feel of warfare of this era as you lead your force to accomplish your assigned mission. With a force as small as twenty models or as large as one hundred, you may be exploring enemy territory, protecting innocent civilians or burning down a settlement. Your opponent will have his own mission to accomplish and may even have a personal agenda that drives him: the possibilities and interactions are endless! 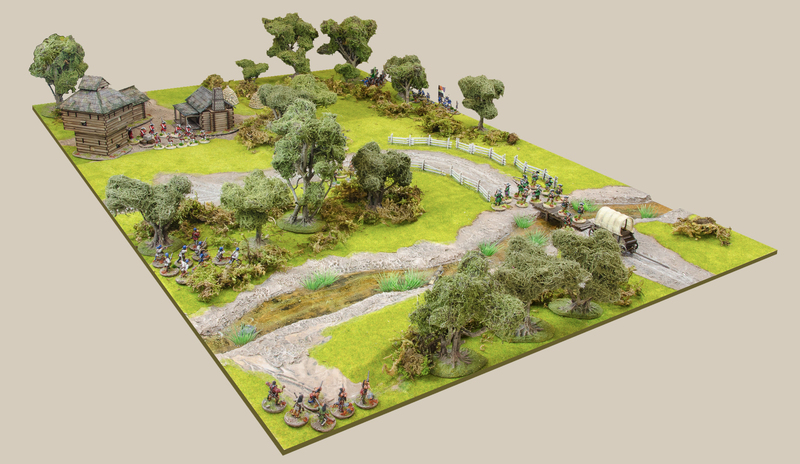 Using cards (provided with the game) to generate actions during each turn, Muskets & Tomahawks ensures each player is constantly active and immersed in the game. The cards not only determine who can react and respond but also recreates the chaos so typical of the “petites guerres” of th e period. The game can be played with two players, but is great for multi-player games, with teams fighting each other. 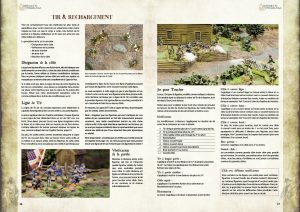 The rulebook presents the rules and everything needed to immerse you in a unique game environnement reflective of 18th century warfare (weather, leader traits, sub-plots, random events, etc…). 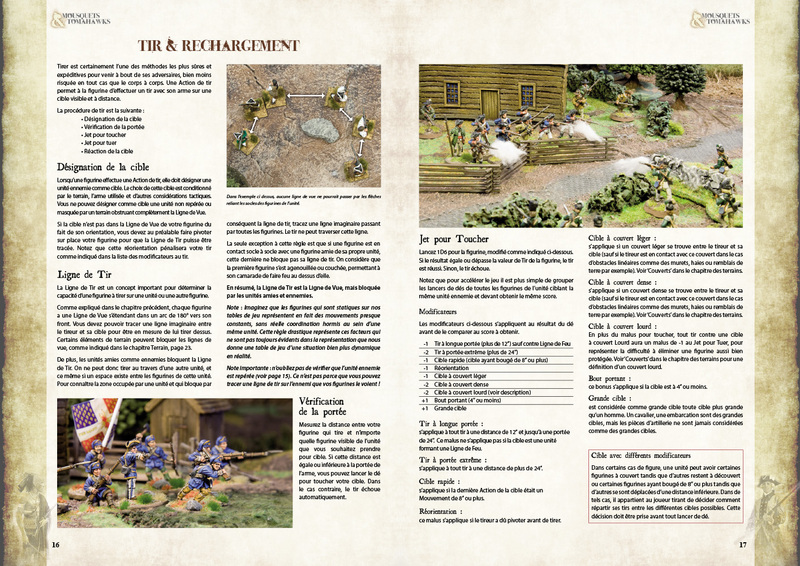 Also included are the lists of all the combatants of the period and a scenario generator that ensures you never play the same game twice!